Workstation gantry crane is designed to meet a variety of light duty lifting requirements in workstation, factory and machine shop. The workstation crane provides an easy and highly efficient way to solve material handling problems, and is capable of lifting and transporting varied small and medium sized items with capacity up to a couple of tons. The workstation gantry cranes can be single girder, double girder and mobile designs with exceptional features such as light dead weight, sturdy structure, stable and durable performance. Workstation gantry crane produced by Ellsen can be designed and built with various configurations and specifications. According to your specific needs, we will assist you to design a cost-efficient solution. Single girder workstation gantry crane provides an ideal solution for material handling. It is usually equipped with a wire rope hoist or low capacity electric chain hoist. This single girder gantry crane can greatly improve the working efficiency, productivity and safety of the operation. 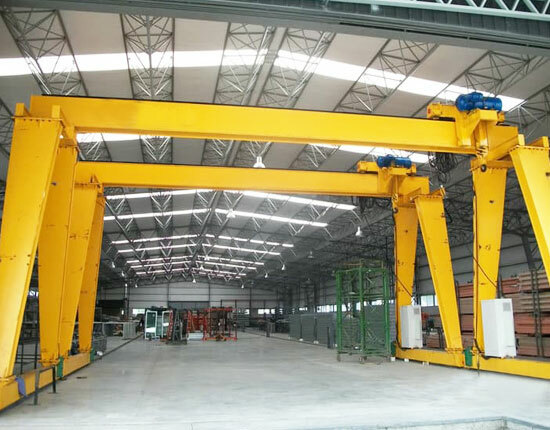 Double girder gantry crane can realize a larger capacity and greater lifting speed in contrast to single girder type, thus it is more often applied for heavy duty lifting applications or a frequent usage. Semi gantry crane for workstation is a practical option for workplaces where the space is an issue. 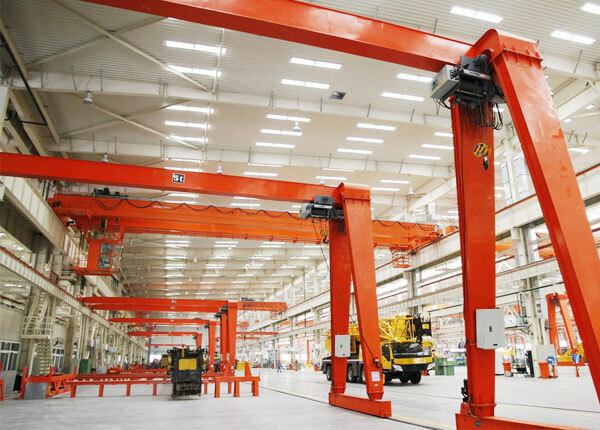 The half overhead crane and half gantry crane design enables it to save more work space for your workstations. 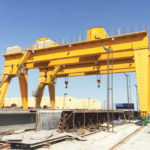 If your working areas are limited, the semi gantry crane can be a better choice. Portable gantry crane provides a flexible, convenient and efficient material handling assistant. This style of workstation gantry crane is generally made of robust steel or aluminum, so it has reliable and durable performance as well as minimal maintenance. Besides, fixed or adjustable height and span designs are available to suit your particular facilities. 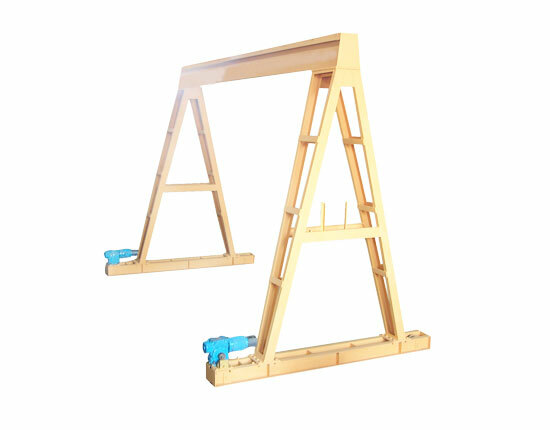 The workstation gantry cranes from the above generally adopt I-beam as the runway track, while some other workstation cranes can be outfitted with an enclosed track which has light weight and easy installation. 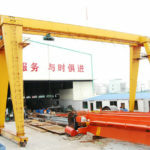 This type of workstation gantry crane can also be relocated in other places easily for reuse. We design and fabricate a range of workstation lifting equipment to help enhance efficiency, productivity and safety for your workstation and mechanical shops. Our workstation crane can serve a large variety of light duty lifting needs with lifting capacity up to several tons. The modular design and solid construction provide optimum performance, quick and easy installation, and smooth operation. The workstation gantry crane has strong versatility as it can be used for the whole production line. It is adaptable for a variety of rails. 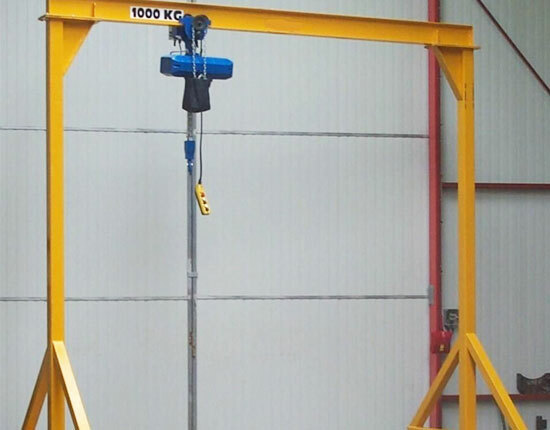 Due to convenient assembly and disassembly, flexible movement, the gantry lifting equipment can be reused in other places readily, saving numerous costs for you. It has low noise during operation, and it can also ensure the safety of operators. 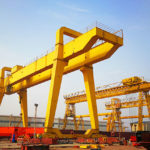 How to Choose the Right Workstation Gantry Crane? 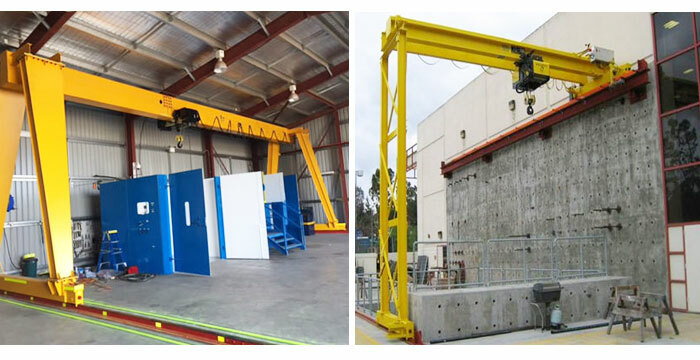 A growing number of companies choose workstation gantry crane to help increase production for their businesses due to its reasonable cost, simple installation, flexible operation, quiet and stable movement. 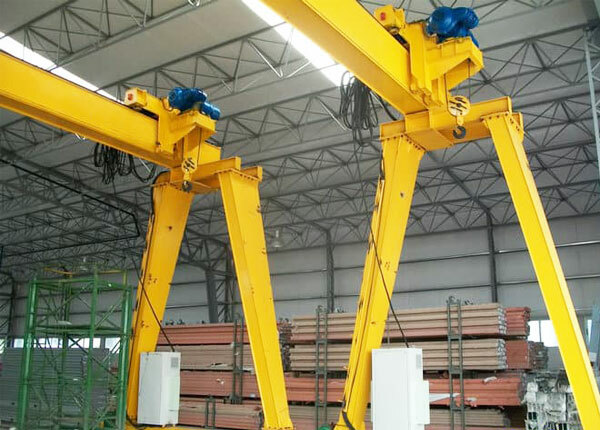 When looking for an electric gantry crane, you should consider a few things such as the equipment size, configuration, the type of materials to be lifted, the load weight, the frequency of usage and working environment. We provide many different types of workstation cranes to meet your needs. 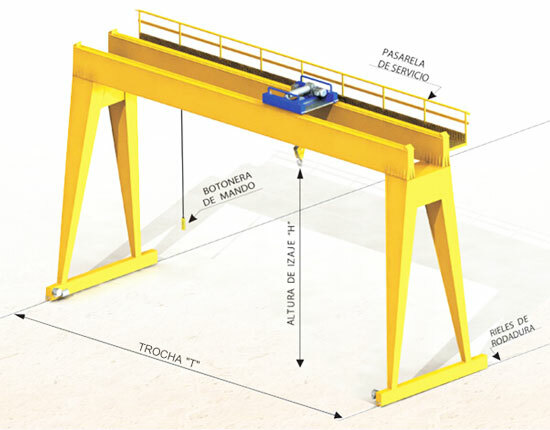 For instance, if you are looking for a mobile type lifting system, the portable gantry crane will be a good option. 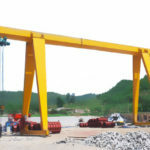 If you demand a strong and stable lifting system, the robust steel gantry crane can best serve your needs. 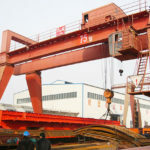 If you are unsure as to which type of workstation gantry crane is right for you, contact our sales manager online now. We are willing to help you select a proper system. 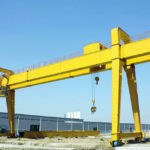 Safe operation of gantry crane equipment is of great importance. 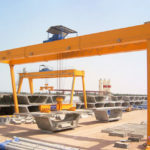 As gantry crane manufacturer, we have the responsibility to make sure each product is built with high quality as well as under safe considerations. The crane operator should also raise awareness of hazards in the operation as many crane accidents result from human errors, such as misuse or carelessness. The accidents can be serious or even fatal, therefore you should select the right gantry crane as well as adopt the right operation method. For gantry crane users, they should ensure the equipment is in solid construction and good working condition. A periodical inspection and maintenance should be conducted to make sure the crane is safe to use. The crane operators must be trained on the safe use of the equipment and strictly follow the operation manuals. Any carelessness or lax during lifting operations should be avoided. The visual checks of gantry lifting system mainly include hoist, hook, wire rope, limit switch, oil leakage and any unusual sound. Through regular checks, proper maintenance as well as right operation method, we hope to minimize the potential accidents so as to ensure the safety of personnel and avoid additional losses for you. 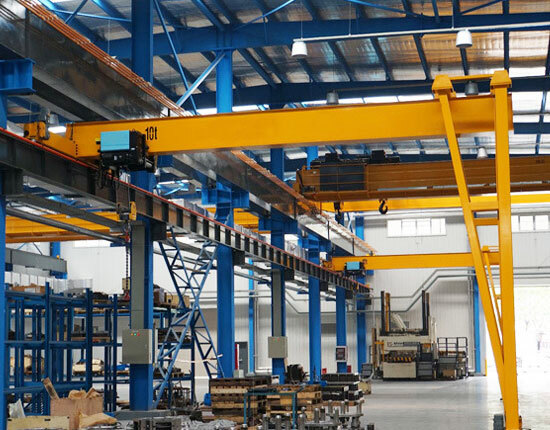 If your business requires repetitive or heavy lifting movements, workstation gantry crane will be a fast and efficient way to boost your productivity. 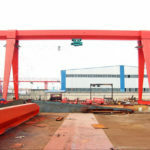 We are professional gantry crane manufacturer in China, and have been engaged in the material handling industry for over ten years. Our products have been exported to more than 80 countries and regions, such as Pakistan, Thailand, Saudi Arabia, Ethiopia, Mexico and Peru. Through providing quality products and reliable services, we have won trust from many clients and established a long-term cooperation with them. For many years, we focus on the crane research and development and are dedicated to optimizing the equipment structure and performance. We also strictly inspect and monitor the manufacturing process to make sure each product is built with high quality. In addition to the crane design and manufacturing, we are also responsible for the crane delivery, installation and maintenance. If you have any question about workstation gantry crane, please feel free to contact us online.